Some of us need a direct, physical connection with a subject to look at it through the lens of science. For Ajeet Johnson, an OSU master’s student in Geosciences from Bend, that connection came from rock climbing at Smith Rock and skiing at Mt. Bachelor. 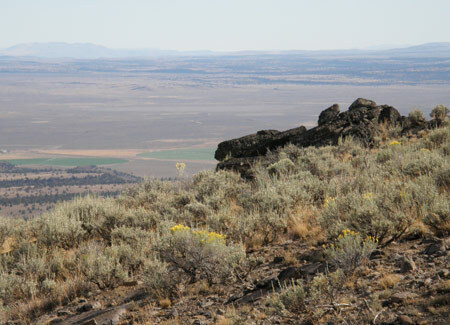 Now she locates fault lines and seeks answers to questions about Earth movements in Central Oregon’s High Lava Plains. She is looking for clues to explain a landscape shaped by volcanoes and colliding tectonic plates, and she wants to know what those clues might mean for our future. See “Committed to a Fault” in the latest issue of Terra.